Formula One’s halo cockpit-protection bar did its job more than once this year, and made viewers question its role at least once. But in the ugly August wreck involving Charles Leclerc and Fernando Alonso, an investigation found that the halo protected Leclerc from a smack in the visor by the front of Alonso’s car. Motorsport.com reported on the investigation Thursday, which was done by the FIA Global Institute that’s run by F1’s governing body, the FIA. It was obvious at the time of the first-lap Belgian Grand Prix crash that the halo, which partially enclosed the cockpit for the first time this season, protected Leclerc’s head from Alonso’s bright-orange McLaren as it flew over him and smacked his car right into the halo. What wasn’t obvious was the extent that it protected him. 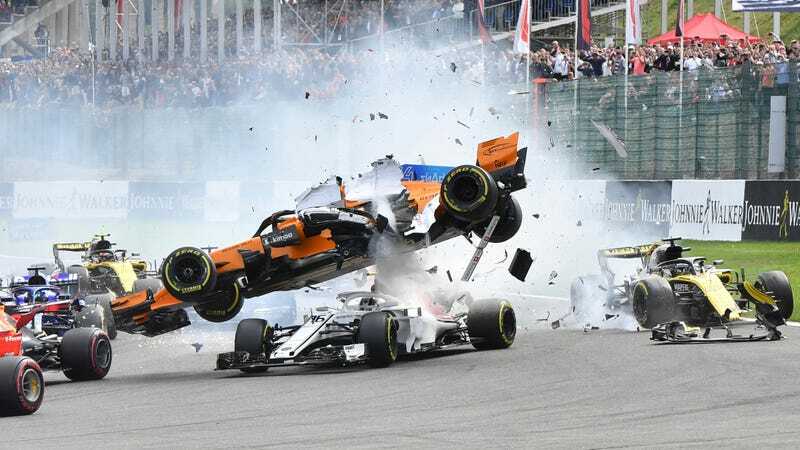 The halo was structurally intact and still usable after the crash, according to Motorsport.com, and wreck photos showed that Leclerc only got hit by small pieces of debris coming from Alonso’s race car. Without the halo, though, the institute found that he probably would’ve been hit by much worse. 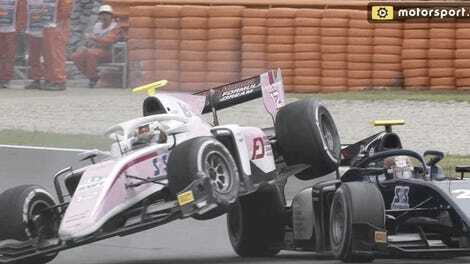 The institute also found that if the wheel would’ve hit Leclerc in the head with similar force to what the car hit the halo with, there would’ve been potential for a serious head or neck injury—the entire reason F1 drivers almost universally called for cockpit protection two years before F1 began mandating it. Now those drivers have cockpit protection in the form of the halo, even if it was a year late, and it likely saved Leclerc’s head from an unpleasant encounter with the front of Alonso’s car. That’s a good thing, whether you’re a fan of it or not.